EIGHTH COMMEMORATION OF THE DEATH OF LEOPOLDO VICTOR VARGAS (3/26/2019). Great men are bound to do great things. The greatest ones of these are humble and modest about their accomplishments. Chilean Photographer Leopoldo Víctor Vargas, belongs to this latter small group. Eight years ago, on the afternoon of Saturday 26th, 2011, Presidential Photographer and Chilean Air Force NCO (R) Leopoldo Víctor Vargas past away in Santiago de Chile, at age 78. La Moneda Palace 9/11/1973 @ noon. 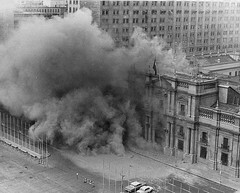 La Moneda Palace is being bombarded during the coup d’état at noon on September 11th 1973. President Salvador Allende and his wife Ms. Hortensia Bussi. The World Press Photo of the Year 1973. 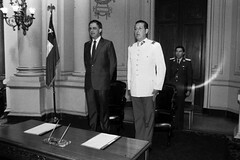 La Moneda Palace, Santiago de Chile, September 11th, 1973. Joop Swart and John G. Morris with the World Press Photo of the Year 1973, Amsterdam, 1974. 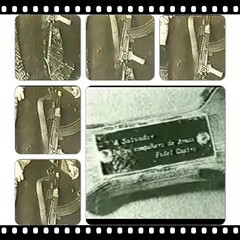 Forty three years ago, on Friday 29th, June 1973, there was a putsch against the government of Chilean President Salvador Allende. This failed putsch is known as Tanquetazo or Tancazo. 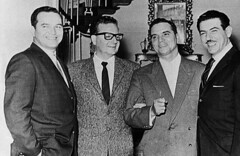 Chilean President Salvador Allende is met by the Army Commander in Chief, General Carlos Prats, upon his arrival to La Moneda Palace, at around 11:41 am. Photo captured at the entrance to the seat of the Chilean government, right after the Tanquetazo putsch had been crushed by the loyalist forces. 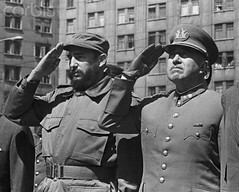 Friday 29th, June 1973, La Moneda, Santiago de Chile. 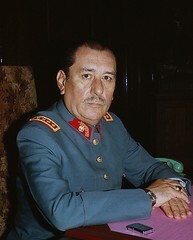 Chilean Army General Carlos Prats González.